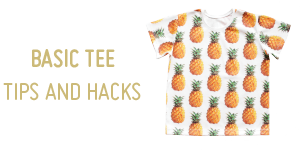 Get the combo! The Explorer Shorts and Explorer Skirt. A girls’ skirt designed for adventures and exploring. The pockets are deep and wide enough to carry the treasures your little lady cakes finds during her day. 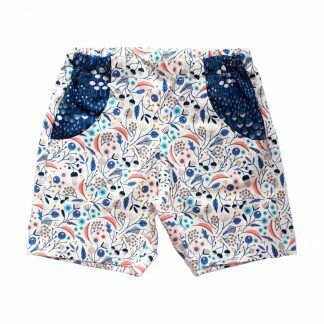 The elasticised waistband with a flat front makes this pattern both comfy to wear and easy for kiddos to dress themselves. The shortish skirt length lets her get out and about and explore her surroundings. 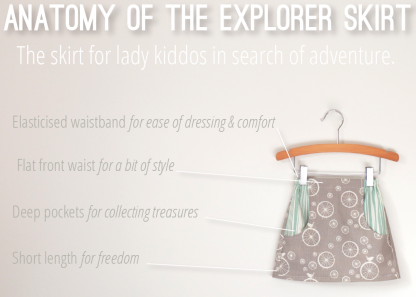 The Explorer Skirt is fairly easy & quick, and rather gratifying to make. 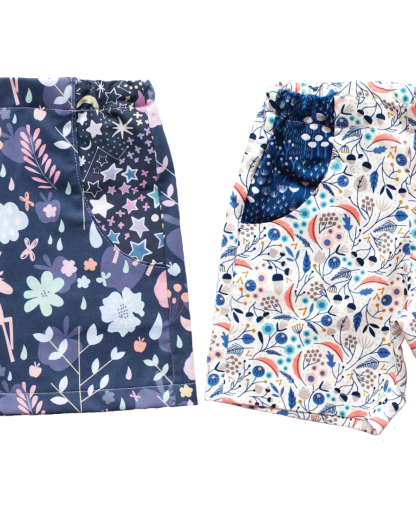 Once you have your pattern pieces assembled, you could knock one out over a longish cup of tea and slice of cake. I’m all about cake with my (fairly) instant gratification! 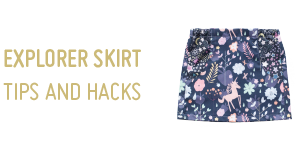 It’s also a great stash buster: mix & match the front and back skirt pieces, or even chop up the pockets using the pocket pattern hack. 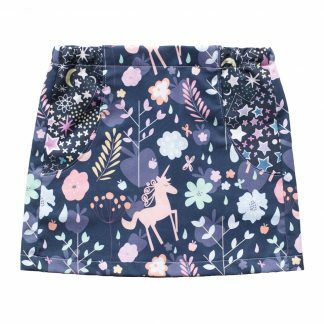 The comfy fit, shorter length of the skirt, and fairly quick construction means the Explorer Skirt would be great for gift giving. A quick unpick. Well, not really, but if you are bull-at-a-gateish like me, yeah you will. I’m not impatient, I’m enthusiastic. then you’ll be good to go. Hey There! Meet the Explorer Shorts, designed for adventures and exploring. The pockets are deep and wide enough to carry treasures, letters, money, rocks and whatever else it is your little one likes to collect. 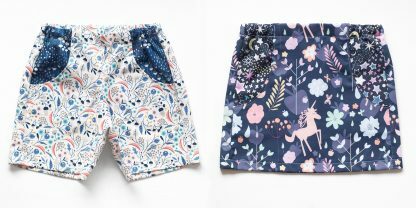 The elasticised waistband with a flat front makes this pattern both comfy to wear and easy for kiddos to dress themselves – an easy way to let them gain independence. 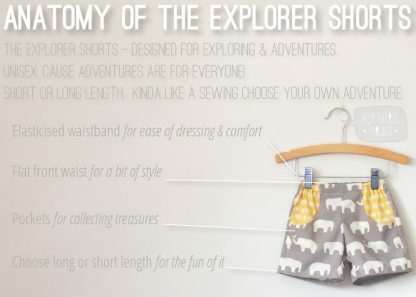 The Explorer Shorts come with 2 length options, short and long. 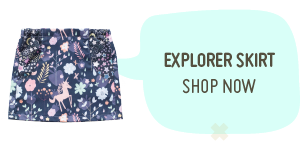 Like their sister, The Explorer Skirt, the Explorer Shorts are quick and fun to make. 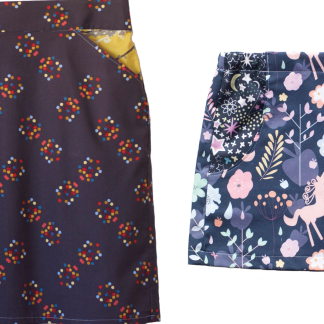 It’s also a great stash buster: mix & match the front and back pieces, or even chop up the pockets using the pocket pattern hack. 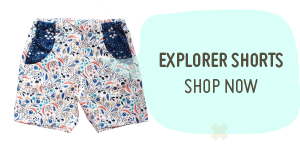 The comfy fit, length options and fairly quick construction makes the Explorer Shorts perfect for gift giving or to sell. 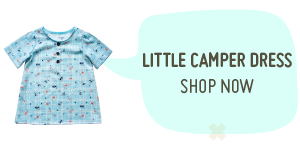 The sizing is fit for age, in yearly increments with the bonus inclusion of 18 months between sizes 1 and 2. 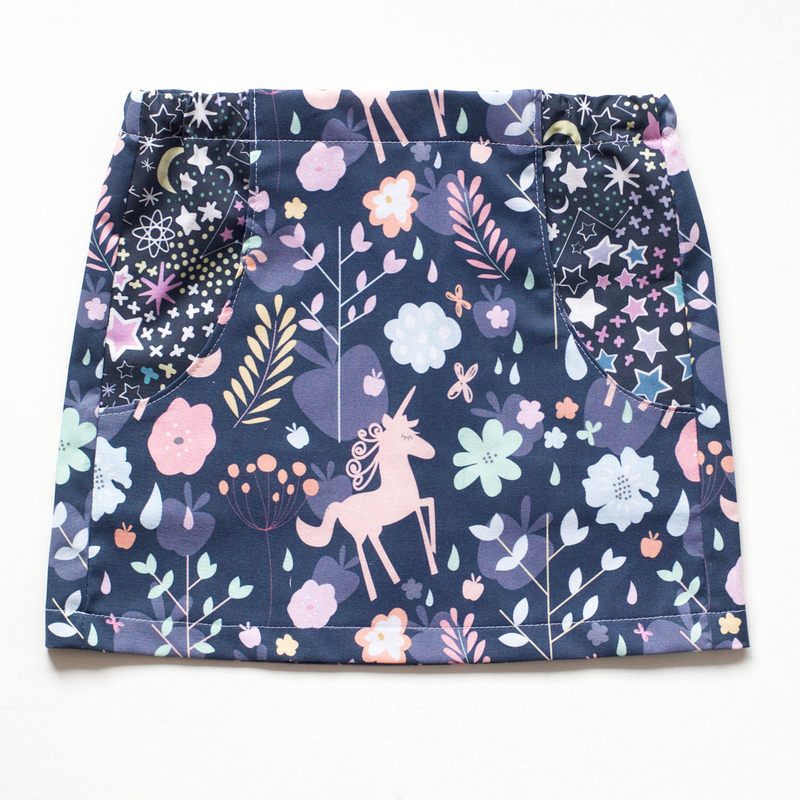 This is a downloadable PDF sewing pattern. You will not be sent a paper copy. 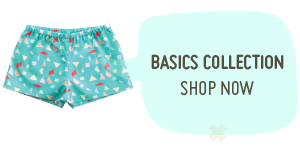 After purchasing your pattern, you will be sent an email with the links to the pattern pieces and the instructions. 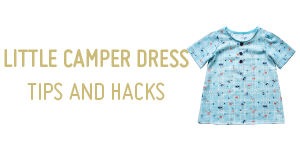 These can only be downloaded 3 times before the link will expire, so make sure you download them and save them to your computer straight away. If for some reason your email gets gobbled by an inbox goblin, you can access your downloads by logging into your account on the My Account page. 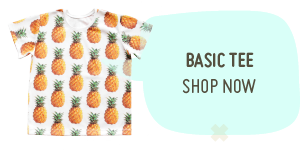 By purchasing this pattern you agree to the terms and conditions of using the pattern. The pattern is for your personal use, please do not share it, instead, please direct others wishing to use it to www.heytherethreads.com . 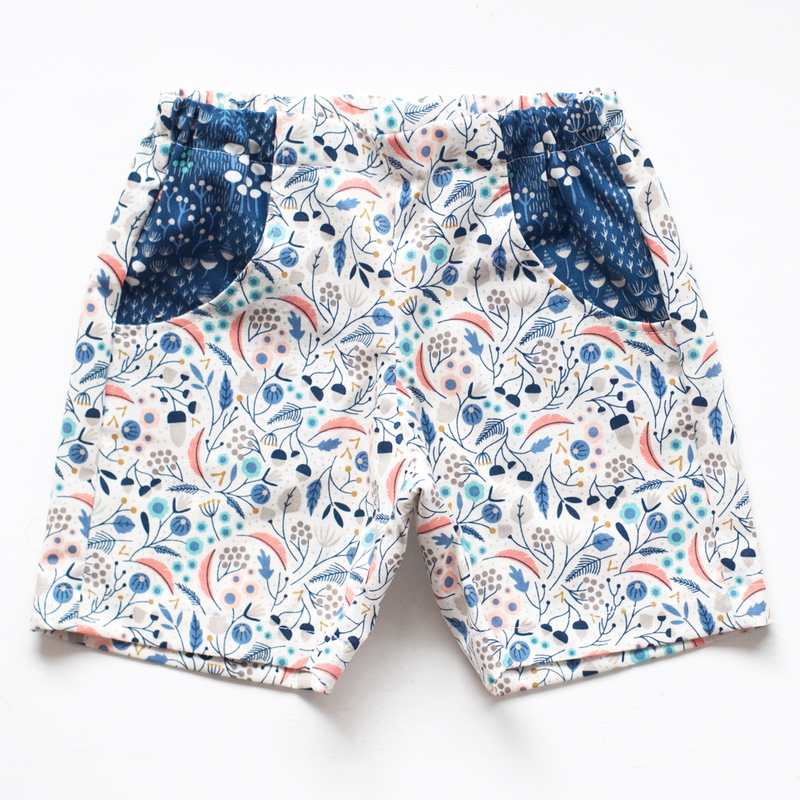 You may sell the garments you make with this pattern, but please do not sell the pattern. 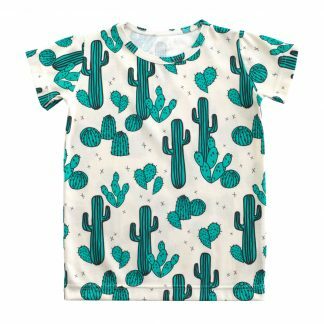 The pattern is protected by copyright law and should not be copied or resold in any way.